Margaret Olinger’s ancestors are generations of Germans who, as I previously mentioned, have been in America since at least the Revolutionary War. While I have done some of the initial verification work, I am still working on most of this – use this line at your own risk. I am working on the verification and getting my own copies of the sources this summer. I have provided the sources I currently have and been clear about what is not sourced. In order to tie the line together there needs to be some documentation that provides a parent/child relationship. Family stories are nice, but paperwork is best! So here’s what I started. First and foremost, we need to remember that spelling is optional. Don’t think that a will or census records will provide the correct spelling. Wills and census records were recorded by individuals who may or may not have asked how something was spelled. They may have been asking people who could not read or write how to spell their names. Most of the entries were accomplished either based on the experience of the person doing the writing, or their best guess based on how the name sounded. Men who clerked or “scribed” had no special grasp of spelling. I have seen the same name spelled three different ways in a single document. Most names did not reach a finalized form until Social Security began. Once you spelled it a certain way with the federal government – that was pretty close to how it remained. Our family uses the spelling of Olinger, but there are many Ohlingers in the tree. So when searching for Olinger you need to flexible and search for Olinger, Ollinger, and Ohlinger, and try substituting an e for an i and the letter j for g. The Yount line is often found as Yont, Yunt, and Yundt. I have also seen it spelled Jundt in some trees. I am sure of whom Margaret Olinger’s parents are for two reasons. First – Viola Lawton Scott gathered the initial information directly from Margaret Olinger when she was alive. This is why I’m comfortable with using the date of births that I have. Second – I have Margaret Olinger’s 1932 death certificate which names her parents are Daniel Olinger and Hannah Yount.1 This could get confusing as we work are way back since there are several Olingers who have married Younts. Daniel Olinger was born 20 September 1811 in Armstrong County, the youngest known son of Adam and Anna Maria (Yount) Olinger. (Yes, Yount again. Daniel and Hannah are first cousins.) I have seen various locations listed for his birth including Kittanning and Elderton. Daniel’s family was enumerated on the 1820 census in Kittanning Twp., Armstrong, Pennsylvania. Elderton was not incorporated as a borough until 1859. Daniel married Hannah Yount on 10 April 1830 in Kittanning Twp. The newspaper notice of their marriage reads “Mr. Daniel Ohlinger, to Miss Hannah Yundt, dau. of Jonathan Yundt all of Kittanning Twp.”2 Hannah is the fifth child of Jonathan and Maria Margaret (Riscinger) Yount. Jonathan is the brother of Daniel’s mother Anna Maria. More on Daniel and Hannah in the next post. 1. Pennsylvania Department of Health, death certificate 73280 (1932), Margaret Scott; Division of Vital Records, New Castle, Pennsylvania. 2. Constance Louise (Leinweber) Mateer, Early Deaths & Marriages in Armstrong County, Pennsylavania (Kittanning, Pennsylvania: n.p., 1994), Kittanning Gazette Vol #V I. Stepping back a generation in the Scott family, my next series of posts will focus on the Olinger and Yount lines. The Olinger and Yount families have been in Pennsylvania since before the Revolutionary War and are (fortunately for me) reasonably well documented. I have provided a pedigree chart from Robert Clare Scott in case you’ve lost track – I constantly have to refer back to my notes and charts in this family. It’s simply a lot of people to keep track of. 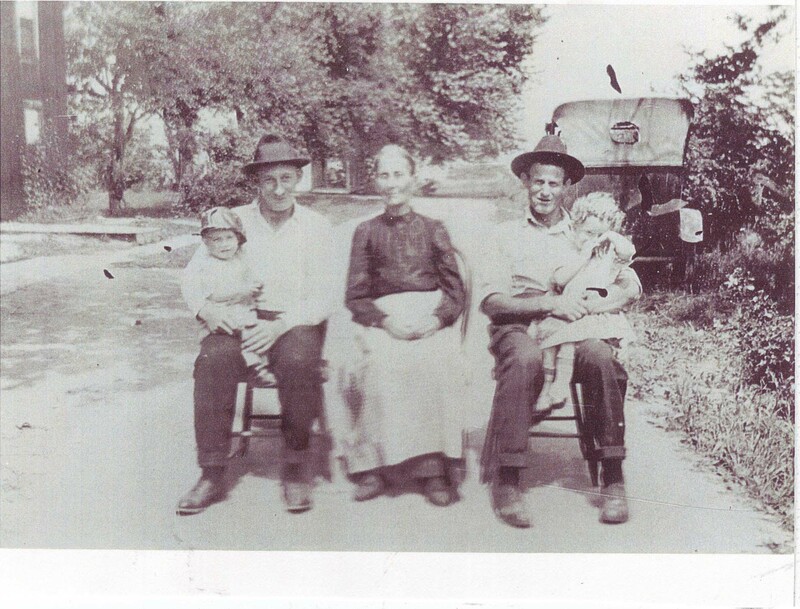 Margaret Olinger was born 17 September 1842 in Plumcreek Township, Armstrong County.1 She was the fifth child of Daniel Olinger (20 September 1811 – 23 May 1878) and Hannah Yount (25 December 1807 – 22 November 1908).2 I did not find a baptismal record for her in the church records in Gastown. It is possible that she may eventually be found in another church in the area, but many of those records have not been filmed or transcribed. Nor did I find a marriage record for Margaret and Zachariah. It is probable that they were married in the home of a family member. The records of a minister belonged to him not to the church, and there were no requirements to record these events at the courthouse or in the minister’s home church documents. 1910, 1920, and 1930 censuses.3,4,5 Margaret outlived Zachariah by almost 32 years and died at the age of 89 on 28 July 1932 in Elderton of Chronic Aortic Insufficiency.6 89 years on a weak heart!!! Margaret is buried with Zachariah in the Elderton Cemetery. Curly and his family are nearby. 1. Pennsylvania Department of Health, death certificate 73280 (1932), Margaret Scott; Division of Vital Records, New Castle. 3. 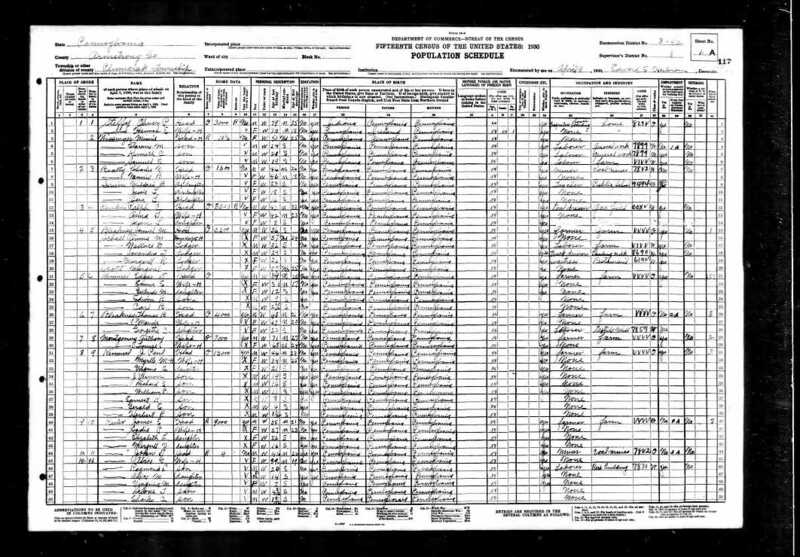 1910 U.S. census, Armstrong County, Pennsylvania population schedule, Elderton, enumeration district (ED) 37, p. 3B, dwelling 69; digital images, Ancestry (http://www.Ancestry.com); citing National Archives and Records Administration microfilm T624, roll 1310. 4. 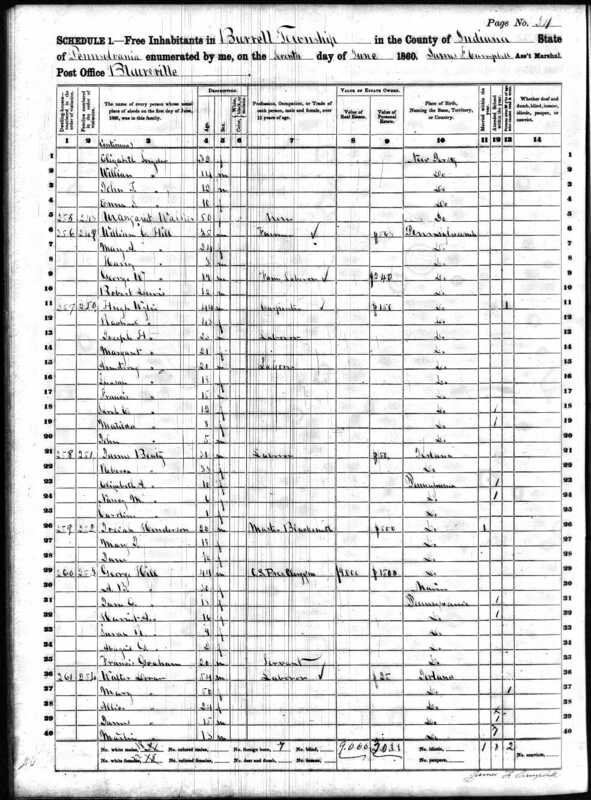 1920 U.S. census, Armstrong County, Pennsylvania population schedule, Plumcreek, enumeration district (ED) 15, p. 7A, dwelling 3; digital images, Ancestry (http://www.Ancestry.com); citing National Archives and Records Administration microfilm T625, roll 1508. 5. 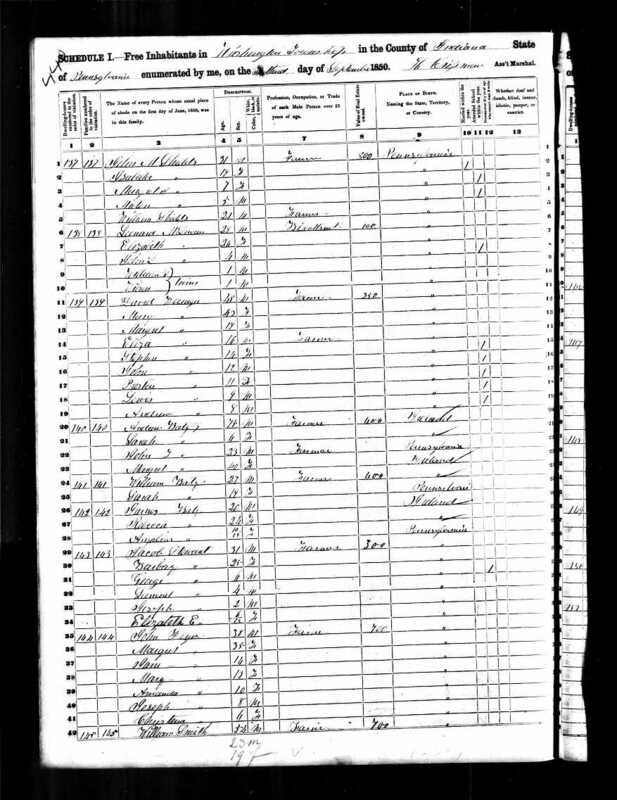 1930 U.S. census, Armstrong County, Pennsylvania population schedule, Plumcreek Twp., enumeration district (ED) 42, p. 1A, dwelling 4; digital images, Ancestry (http://www.Ancestry.com); citing National Archives and Records Administration microfilm T626, roll 1994. 6. Pennsylvania Department of Health, death certificate 73280 (1932), Margaret Scott; Division of Vital Records, New Castle. 8. Obituary, “SCOTT,” The Indiana Weekly Messenger, 28 Jul 1938; digital images. Keeping on track – Nancy M. J. Beatty is the mother of Anna M. Beatty Scott. Nancy Margaret Jane Beatty was born 9 August 1853 in Indiana County, Pennsylvania. At least that’s the information her husband Peter Shaffer provided on her 1909 death certificate.1 She is a daughter of James Beatty and Rebecca Beatty. Yes, Beatty is her maiden name. According to the information Peter provided, her father James was from Canada and her mother Rebecca was from Ireland. Some of the confusion for this woman comes with name changes. She was baptized Nancy Margaret Beatty in the Plumcreek Presbyterian Church, Indiana County on 4 Oct 1853, daughter of James and Rebecca Beatty,2 and she appears on the 1860 census as Nancy M. Beatty. However, beginning with the 1870 census and continuing through the remainder of her life, she is Nancy J.3 It is probable that she took Jane in honor of her older sister Jane Isabella Beatty who appears to have died before 1860, as she does not appear on that census. Her tombstone states her middle initial as “J.” In Viola Lawton Scott’s and her son’s genealogy pages, they both refer to her as Nancy Jane Beatty. Both Viola and her son had a good relationship with her husband Peter and spent time in the household of her daughter Anna M.
Due to these documents, I have chosen to refer to her as Nancy M.J. to avoid any confusion with the numerous other Nancy Beatty’s in the area. The other small wrinkle that appears is the middle name of Ellen. This one is provided in the 1976 obituary of her son Chrisopher Nesbitt Shaffer.4 In this obituary, it lists Nancy Ellen (Beatty) Shaffer. It also lists his father as Peter Levi Shaffer. Both of these are new middle names. The information for this obituary was no doubt given by Christopher’s wife Zula, who would have been about 82 at this time – or one of his children. One family researcher told me that she was told, Christopher’s daughter Nancy Ellen was named for his mother. All these lend weight, but I have found no document with the initial E. or the name Ellen except for this obituary. None of the other obituaries for Nancy’s children list a middle initial for their mother. Nor have I found any Beatty or Shaffer family members (of Nancy’s generation or prior) named Ellen. Nancy married Peter Shaffer about 1873 or 74 in Armstrong County. I will cover her children with Peter in a later post about Peter and his family line. Nancy died of apoplexy in Elderton. She appears to be reasonably well documented by the census records, and I can establish a family based on those. This may be one of the rare instances where tracing a family has been better accomplished through the women. On the 1860 census5 I find Nancy M. age 6 with older sister Elizabeth A. and younger sister Caroline age 1. Caroline as you recall is listed with her mother Rebecca on the 1880 census next door to Peter Shaffer. Mother Rebecca is from Ireland and so is father James born about 1849 in Ireland. More on James and his birthplace to come in a later post. This location of the family lends credence to the birthplace of Indiana County which Peter listed on Nancy’s death certificate. My next post will deal with James and Rebecca Beatty, Betty, Batty, Baty, etc. 1. 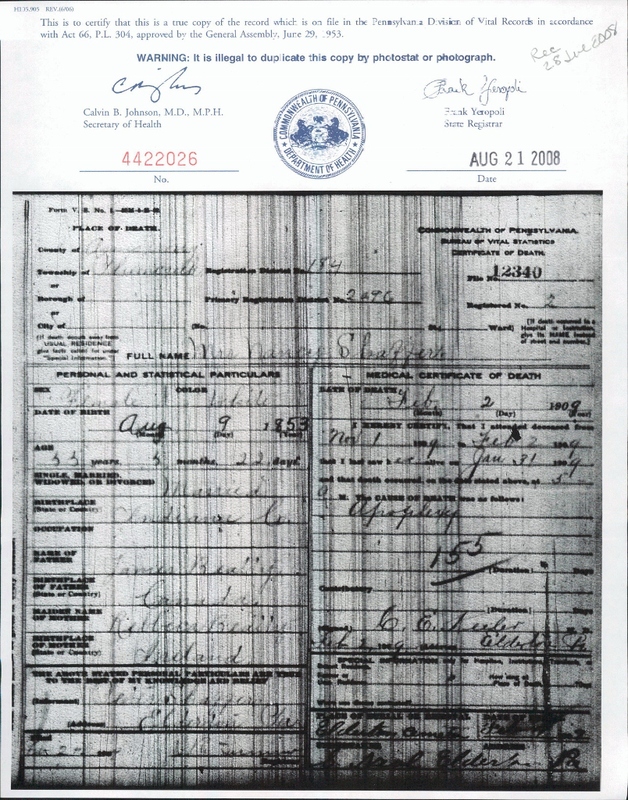 Pennsylvania Department of Health, death certificate 12340 (1909), Mrs. Nancy Shaffer; Division of Vital Records, New Castle, Pennsylvania. 2. Treasures of the Past, “Plumcreek Presbyterian Church Baptism Records,” database, Ancestry (http://www.ancestry.com : accessed 3 Mar 2011), Beatty, Nancy Margaret, baptized 4 Oct 1853. 3. 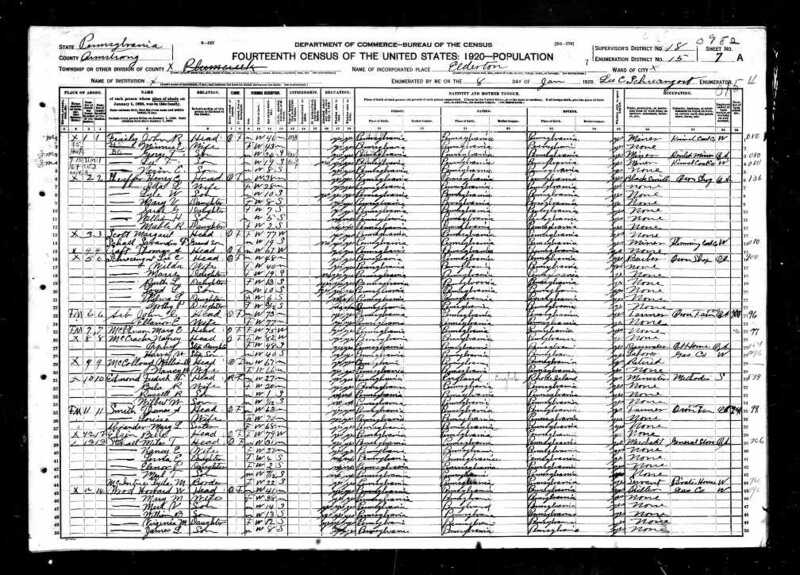 1870 U.S. census, Armstrong County, Pennsylvania, population schedule, Plumcreek Twp., p. 360, dwelling 153, family 153, Nancy Beatty; digital images, Ancestry (http://www.ancestry.com); citing National Archives and Records Administration microfilm M593, roll 1301. 4. Death Record, “Christopher N. Shaffer,” The Simpson Leader Times, 10 Jul 1976, p. 7, col. 8; digital images, NewspaperArchive (http://www.newspaperarchive.com : accessed 19 Dec 2011), Historic Newspapers. 5. 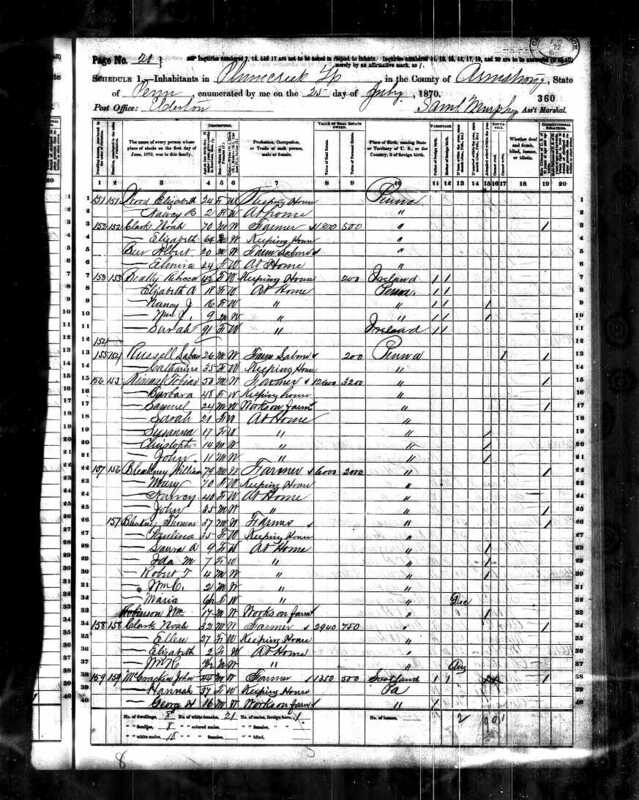 1860 U.S. census, Armstrong County, Pennsylvania, population schedule, Burrell, p. 72, dwelling 258, family 251, Nancy Beaty; digital images, Ancestry (http://www.Ancestry.com); citing National Archives and Records Administration microfilm M653, roll 1116. 6. 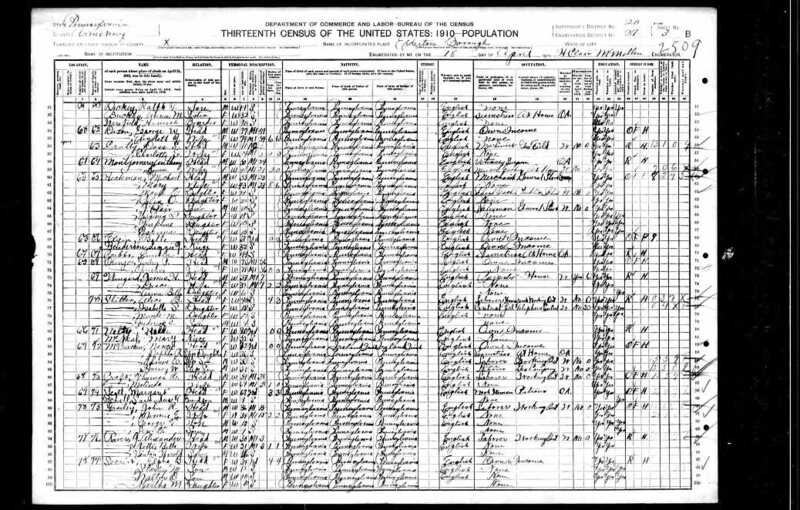 1850 U.S. census, Indiana, Pennsylvania, population schedule, Washington Twp, p. 220, dwelling 141, family 141, Rebecca Baty; digital images, Ancestry (http//www.ancestry.com); citing National Archives and Records Administration microfilm M432, roll 785.